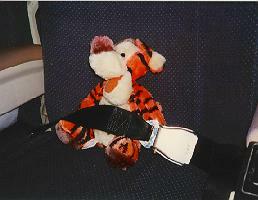 First was a long airplane ride...Tiggers like airplane rides. Especially if there's turbulence and lots of bounce! 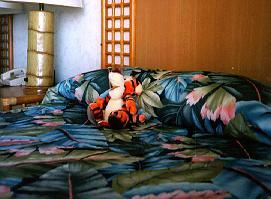 The room at the Turtle Bay Hilton had two beds. Tigger tests his to make sure it has sufficient bounce. 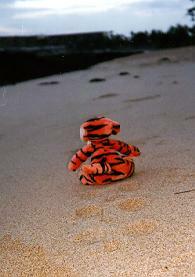 Tiggers leave strange tracks in the sand as they bounce along the beach. And bouncing is what Tiggers do best! 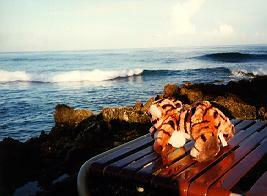 Just after Tigger posed for this picture, a big wave sneaked up behind him and pounced on him! 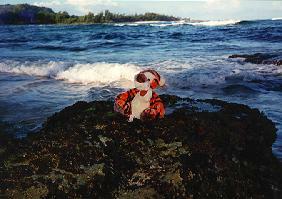 Lee rescued him before he could be washed out to sea. 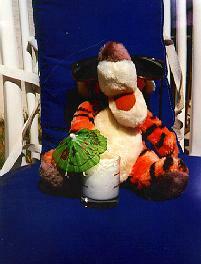 He was ok, but Tiggers don't like water. 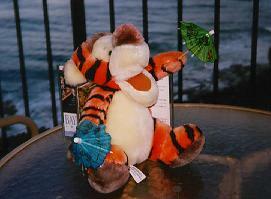 And in Hawaii humidity, wet Tiggers take a long time to dry! 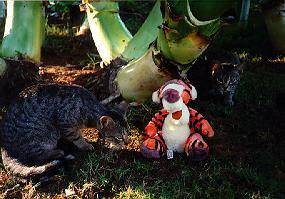 Tigger made friends with some of the feral cats that live on the hotel property. They've never seen anything quite like him before - and not surprising, since the most wonderful thing about Tiggers is that he's the only one!